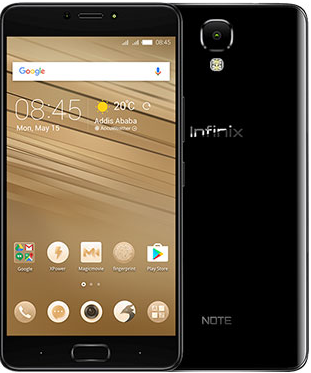 I usually refer to the Infinix note4 pro as the elder brother to the Infinix note 4 because it is an enhanced model of it's predecessor. The Infinix note 4 pro comes with a higher battery capacity and an internal memory of 32gb with a 3GB RAM. Infinix Note 4 Pro looks similar to the Note 4 but offers different colour options. The phablet is available in Champagne Gold, Sandstone Black, Prussian Blue, and Lilac Gray. Infinix Note 4 Pro has a 5.7-inch IPS display with 1080 x 1920 pixels resolution. You get an 8 megapixels camera on the front and a 13 megapixels camera on the back. The fingerprint sensor has been moved to the front on top of the home button. Infinix Note 4 Pro runs Android 7.0 (Nougat) on a 1.3GHz octa-core processor with 3GB RAM and 32GB built-in storage. You can add up to 128GB extra storage using a microSD memory card. While the Note4 reduced battery capacity to 4300 mAh compared to the Infinix Note 3, the Infinix Note 4 Pro is maintaining the same 4500 mAh battery as its predecessor. Infinix is promising the same 2 days use, which has been the standard for the Note series. Infinix Note 4 Pro offers Bluetooth 4.2, micro USB, dual-band Wi-Fi, and 4G LTE. Depending on your region, the LTE bands available to you will vary. In Nigeria, the Infinix Note 4 Pro is expected to support LTE on MTN, Etisalat, NTel, Smile, and InterC. Infinix Note 4 Pro is not yet available in Nigeria, Kenya, or Ghana. The phone has been launched in Nigeria and you can now preorder at Infinix partner stores. When available, the smartphone will be available at leading online stores in your country. Infinix Note 4 Pro starts at around 66,000 Naira. The Infinix Note 4 Pro price in Kenya is expected at around KSh 19,489 while the price in Ghana starts at 1045 GH₵.